Sarah Wolf is a board member of GCF since 2018. She contributes to the Green Growth research process since 2012. Her background is in mathematics, with a focus on probability. 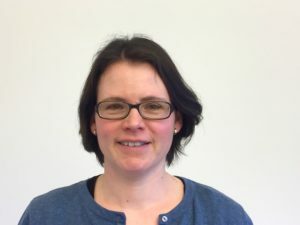 She has worked at the Potsdam Institute for Climate Impact Research (PIK), using mathematics as a language to clarify concepts, and has obtained a PhD in mathematics from Freie Universität Berlin (Thesis: From Vulnerability Formalization to Finitely Additive Probability Monads). Since 2009, she works on agent-based modelling – first at PIK in the Lagom modelling group, now at GCF, where she is currently workpackage leader for the pilot studies in the Centre of Excellence for Global Systems Science (CoeGSS). Jaeger, C.C., Fürst, S., Mielke, J., Schütze, F., Steudle, G.A. and Wolf, S. (2015). STOEMSys—Towards a Sustainability Transition Open Economic Modelling System.Final Report Global Climate Forum Berlin.